In September of 2015, body of a 3-year old Syrian boy refugee, Alan Kurdi, surfaced on a beach near the Turkish town of Bodrum. The heartbreaking photograph captured this haunting moment of the lifeless infant who drowned and was left there on the beach, lying face down in the sand. 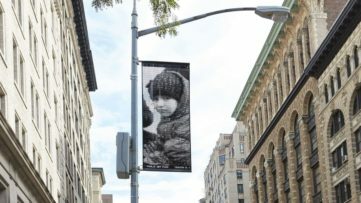 An image as powerful and impactful such as this one, became a symbol of the refugees’ plight and struggle they have to overcome in order to escape the horrors of their own homeland and reach a new, hopefully better world. 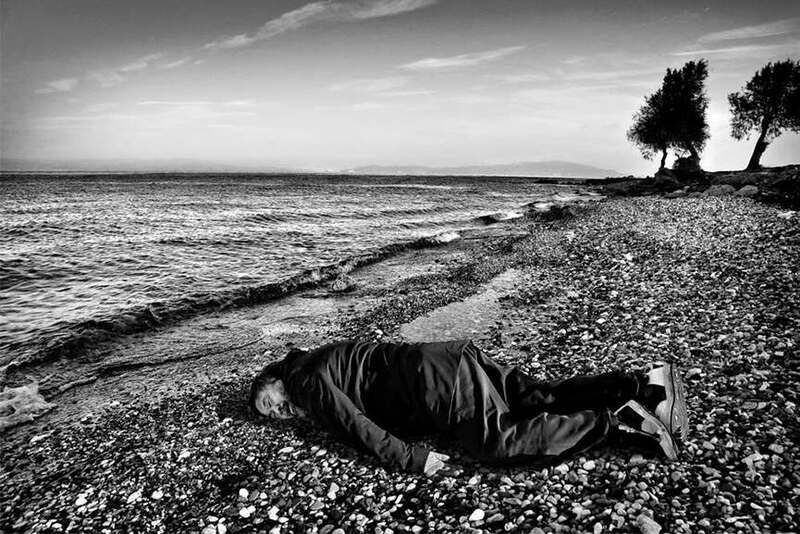 The dedicated artist and activist Ai Weiwei has shown a lot of compassion and care for the unfortunate immigrants, and recently he posed on Mediterranean beach as the Syrian boy, lying face down on the beach, in attempt to remind the world of the plight of the people making their way to Europe. 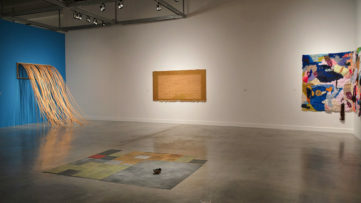 This project is part of the artist’s series dealing with the refugee crisis. 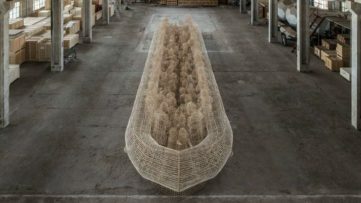 Ai Weiwei has been working in a studio on the Greek island for a while now, in attempt to get closer to the actual people who are arriving from the perilous journey across the sea. As the he stated, his moments with the immigrants in the past months have been quite intense, he saw thousands of them come daily, including children, babies, pregnant women, old ladies, a young boy with one arm… They arrive with nothing, cold and barefoot, and the gravity of the situation left a huge impact on the Chinese dissident. 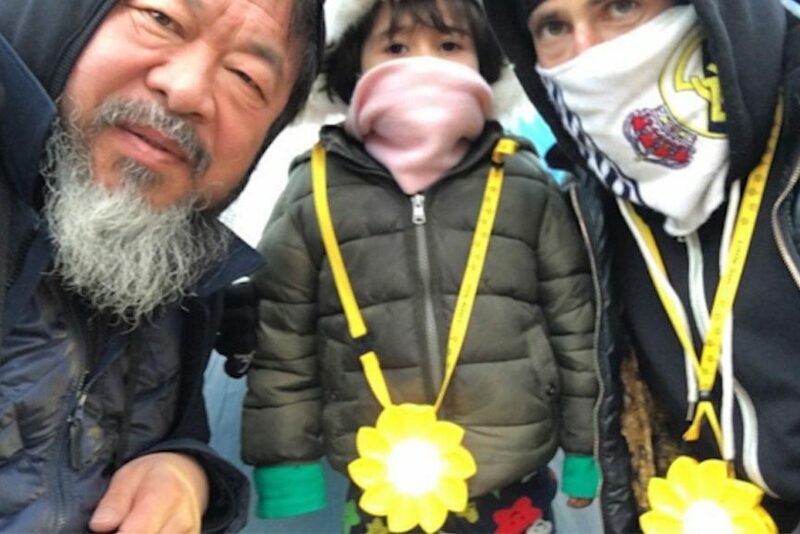 While being so up close and personally engaged with the immigrants, Ai Weiwei made a decision to withdraw his exhibition from Denmark after the country’s government passed a controversial bill regarding the immigrants. The notorious dissident said it was his way of protesting, a very simple and symbolic act of a protest. It was a very personal decision for him, as he claimed that he was a creator who could not simply stand there and watch these events, but had to act, so he made the decision spontaneously. 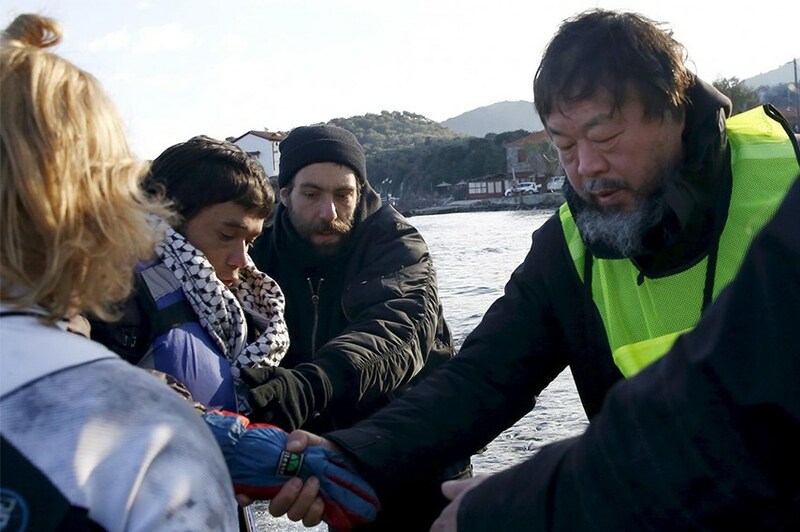 Furthermore, Weiwei continues his activism and art projects on the islands in Greece. Even though the original photograph of the lifeless body of the Syrian boy did have major effects on the general public and shifted a lot of opinions about the refugees, it was only a brief echo of sympathy which soon faded away into the stream of politics. 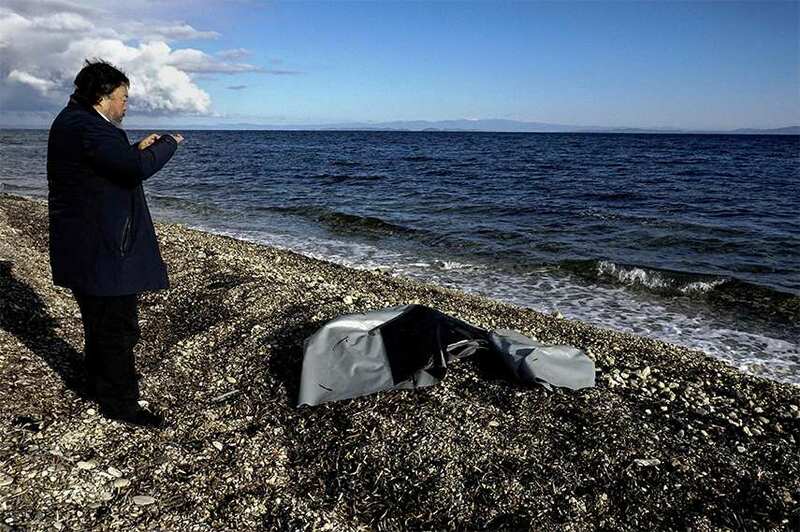 Last week, the prolific artist/activist closed his eyes and lay down on a cold, pebbled beach, recreating the terrifying image of the deceased Alan Kurdi. 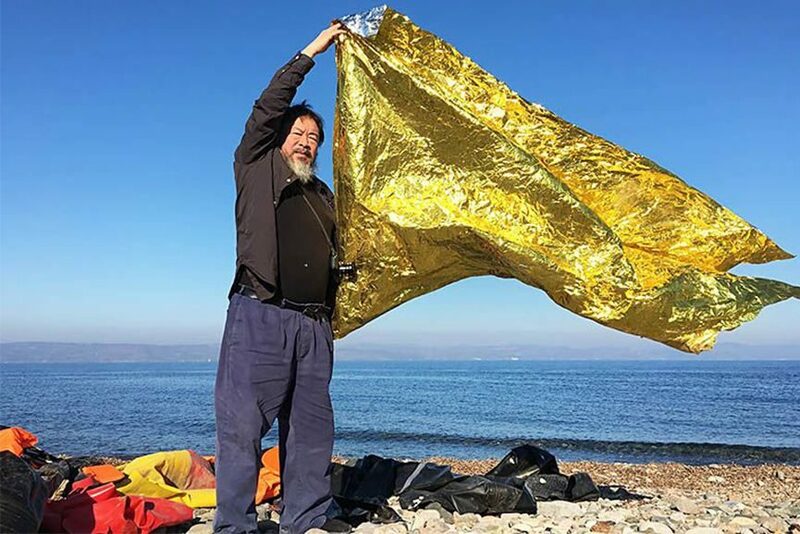 The photograph of Weiwei in Lesbos was captured by India Today magazine and has become the toast of the India Art Fair at an exhibition called The Artists. 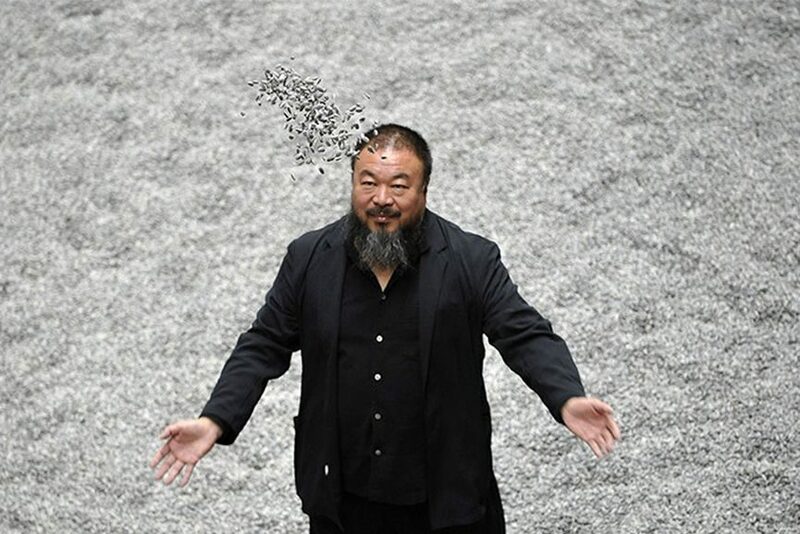 Prominent and famous names such as Ai Weiwei have the power to actually get people involved and make a change, this recreation of an iconic image is very political, humane and serves as another wake-up call for many.